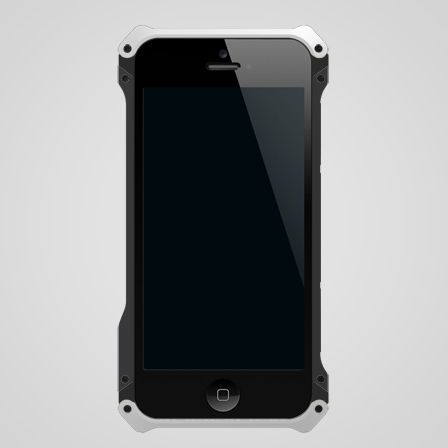 Element Case has announced today that customers will finally be able to color customize every part of the company's most extreme and highly industrial machined aluminum iPhone 5 bumper case - the Sector 5, using the user-friendly Design Studio. Pricing starts at $140, and varies based on the types of colors you pick for things like golden screws. Customers who choose to color customize their Sector 5 will find that Element Case was nice enough to throw in a supplemental side grip detail a la Vapor Comp - that fills in the side trussed rail not found on the ready-made Sector 5 for no additional cost. Here's a white and black Sector 5 we whipped up.